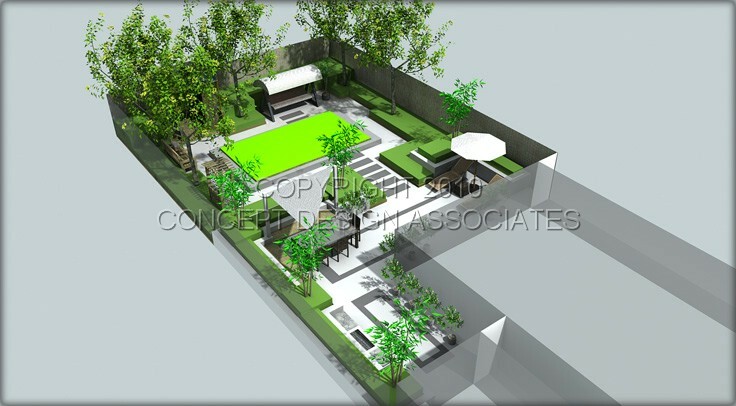 A cool and serene garden design located in North London. It transforms a relatively small garden space and cleverly incorporates many new features allowing the clients several areas for enjoyment and relaxation. The terrace area has a built in BBQ, seating and dining space with shade sail and space for loungers. 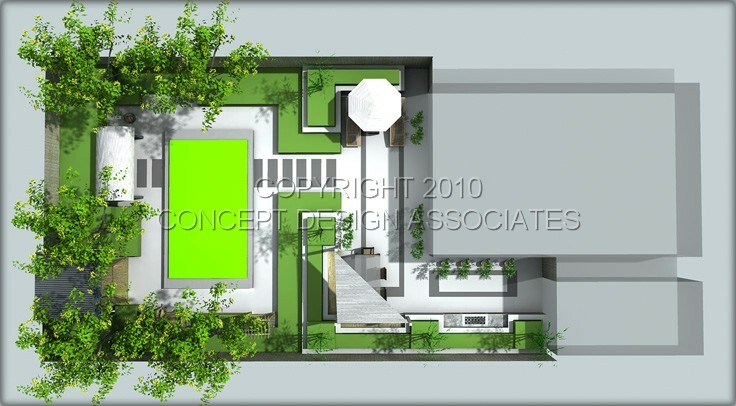 In the garden beyond a rectangular lawn is surrounded by a path with seating, an arbour, a swing seat and small summer house.